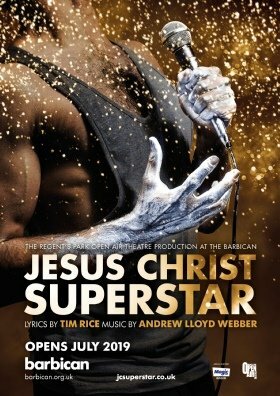 Regent’s Park Open Air Theatre and the Barbican Theatre announce that, following its overwhelming sell-out success in 2016 and 2017 at the Open Air Theatre, Jesus Christ Superstar transfers to the Barbican Theatre for just 60 performances in 2019 (4 July – 24 August 2019). Earlier this year the production played the Lyric Opera of Chicago, and it embarks on a North American Tour in the Autumn of 2019. Jesus Christ Superstar is produced by William Village and Timothy Sheader for Regent’s Park Theatre Ltd by special arrangement with The Really Useful Group Limited.